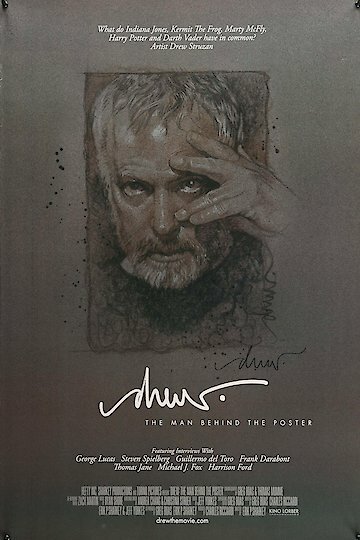 Drew: The Man Behind The Poster is a documentary film that focuses on movie poster artist Drew Struzan. While many movie fans might not recognize his name, they will surely recognize his illustrations from the famous movie posters for classic blockbuster films. Famous directors like Steven Spielberg, George Lucas, Frank Darabont and Guillermo del Toro speak on camera about the work Struzan has done for their most popular films. But they're not the only ones to heap praise on Struzan's artwork; many actors and film historians are also interviewed in this fascinating tale of an overlooked film profession. Drew: The Man Behind The Poster is currently available to watch free on Vudu Free and stream, download, buy on demand at Amazon, Vudu, Google Play, iTunes, YouTube VOD online.